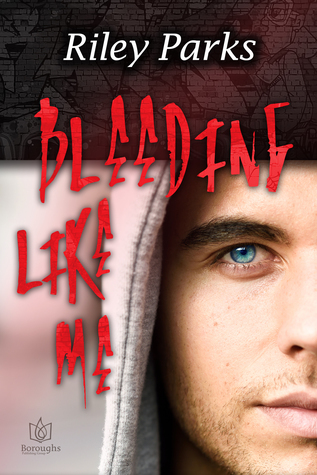 Bleeding Like Me wasn't quite what I expected, but it is quite good. The author certainly shows a talent for drawing a reader in with an interesting storyline and characters. In many cases, characters with flaws are the best kind, and that's the case here as I found myself liking them more and more. The story is emotional and a bit dark as Jackson and Evan get deeper into a relationship that has to be kept secret. As with any forbidden romance, someone is bound to find out. I would've expected that part, especially considering what happened, to have been given more attention than it was, but it felt like the story just rushed past it. The biggest drawback in this one for me was the sheer amount of steam. I appreciate a steamy tale as much as the next person, and I get that this pair's relationship started with a hookup, but as things progressed, I would've liked to have seen more development as their feelings grew. That aside, I still liked Jackson and Evan together and I did enjoy the conclusion to their story.